It appears from Griffith's Valuation that, in 1850, just one house stood on this site. The lessor was Michael Delany, and his lessee Matthew Farrell, followed by Laurence Hardgrove1. When the single house was replaced by two is unclear. A man I was speaking to happened to remark how anyone excavating in this area often came upon large amounts of nails. He wondered why. Here's the probable reason: for many years from the last quarter of the 19th century, the Lyons family lived in the house on the left. The censuses of 1901 and 1911, both record the same information: the widowed Maria, son John, a nailer, and daughter Maria, known as Minnie, a seamstress. Maria died in 1911, aged 89. Her son, known as 'Jack', died in 1936, aged 82, but he is still alive in the memory of elderly townspeople. His small forge - where he made nails, pig-rings and S-hooks - faced on to the street and was a popular meeting-place for gossip and chat. He was, as one woman told me, "a great man for stories from the long ago". Another of my informants recalled hearing how Minnie Lyons used to walk to Mountmellick and back every Saturday with a box of his products for Pims, who were, apparently, Jack's best customer. The story goes that, years ago, local footballers, whose efforts missed the target, would be advised by teammates: "Go down to Jack Lyons and get that leg straightened". [Eddie Boylan, incidentally, notes that Jack Lyons's, step-grandfather, Paddy Robinson, fought at the Battle of Waterloo in 1815]. In the late 1940's, Minnie Lyons was succeeded by Ciss Connor, a well-known dress-maker and, in 2009, in keeping with the theme of sharp pointed objects, the premises became Celtic Tattoo & Body Piercing Studio. After lying vacant for some time, Cath's Embroidery opened here in December 2014. Within six months that was replaced by 4 You & Family which sold fashion for kids and decorations for the living room and baby room. It, in turn, was replaced by The Bridal Boutique. Flynn's was originally the home of the McDermott family; in 1901, John and Mary (née Mulhall) and their daughters Eliza, Bridget and Kate. The first two girls were dressmakkers, while Kate, the youngest, is listed as a housemaid. By 1911, she had married Martin Flynn, a carpenter, and had three young children, Christina, James and Elizabeth. More than thirty years into the future, Elizabeth and her sister died tragically. 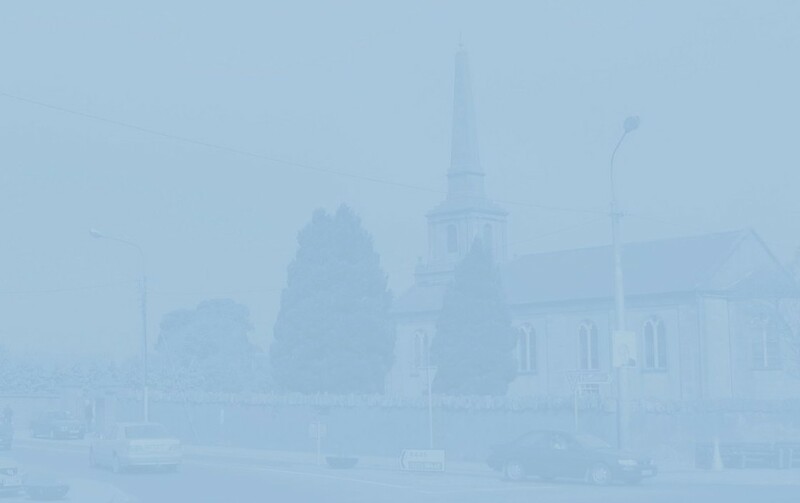 In September 1945, twenty-year-old Anne, a member of the Auxillary Terrrestrial Service based in Aldershot, was en route to Portlaoise when she visited Elizabeth who was married and living in Dublin. On Sunday 15th, the sisters went swimming together at Merrion Strand. Both were drowned. Their bodies were brought by train to Portlaoise and interred in the local cemetery. The chief mourners were their parents, Elizabeth's husband Leo Cronly, sister Bridget Flynn and brothers James and Thomas. In more recent and happier times, Bridget 'Bridie' Flynn (later Mrs Michael Timmons) became synonymous with the shop, while Tom worked for more than twenty years with Midland Dairies2 (and subsequently in the Malthouse). He was renowned for his comedic roles in local pantomimes, as a great man for 'recimitations' ("Pitched on his head, and pumped full of lead, was Dangerous Dan McGrew"), and as the composer of 'come-all-ye's' celebrating the exploits of local sportsmen. Tom Flynn was a "true townie" and his death in 2010 brought a profound sense of sadness to everyone who knew him. 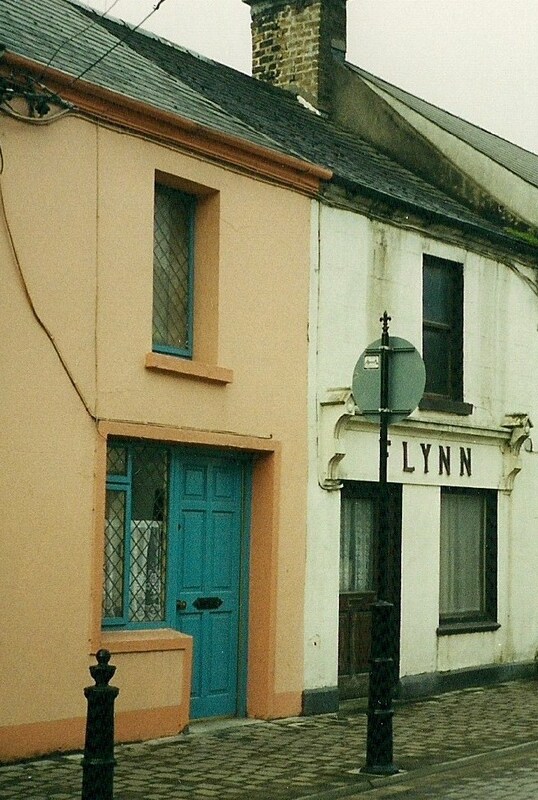 Flynn's premises lay vacant for some years until 2008 when a Polish shop - Delikatesy - opened here. The following year it became East and West Grocery - Asian food, Halal meat and fresh vegetables - which later moved across the street. In 2012 Clement Herron's Real Estate office relocated here from three doors down the street. In 2019 the building became occupied by Ultralux Advanced Aesthetic Clining and Training which, inter alia, offered - brace yourself - microneedling, microdermabrasion and microblading! 1 I wonder how he was related to William Hardgrove, listed as a nailmaker in an 1870 directory? Given his successor on this site, his occupation is interesting. 2 In the early 1940's, Mr Harold G (Henry) Smith, headmaster of the now-closed Maryborough National School on the Stradbally Road, started a small toy and furniture factory at his residence behind the school. After World War II, the expanded business moved to the Mountrath Road and the Clonrooske Wooden Toy Factory was born. As well as toys (stencilled with the logo, a small terrier), it made furniture and, in later years, housings for radios and record-players. The factory, which at one stage employed sixteen people, closed in the late 1950's and the building was taken by Midland Dairies. The site has been empty for some years now, but I wonder if there are houses in the town that still have any of the toys and their little terrier? If anyone has more information on Clonrooske Wooden Toy Factory I would love to hear from you. Mr Smith was clearly a resourceful man. According to an Irish Times article (November 15, 1952) he also invented a mechanical bale-stacker which was pulled like a toboggan behind the baler. A man stacked seven bales, then with his foot tilted the stacker so the bales were deposited on the ground. This eliminated the need for more than one man to work at stacking bales.